Experiencing the flu even once a year is enough to convince anyone to take the necessary precautions to avoid contracting it ever again. One of the most effective ways to keep the virus at bay is by cleaning. Check out these tips on how to clean your house to keep the flu away. The most touched surfaces within your home are likely where the flu virus is going to be dropped. Flu germs can live longer than most other germs on surfaces, so it’s important to disinfect them at least on a weekly basis. Use cleaning sprays containing ingredients like ammonia. One product that uses the ingredient is Lysol. Also use disinfectant wipes, such as Clorox, to wipe down light switches, doorknobs, faucet handles, drawer pulls, and remotes. One of the best ways to prevent getting sick and spreading germs to others is keeping your hands clean throughout the day. Handwashing is a must. Many health care providers consider it one of the best infection control technique and worth spending time on. But you can’t just wash your hands for a couple seconds and expect to get rid of the germs. Make sure you rub—the friction is what makes it work best! Products can claim that it can eliminate the flu virus, but they need to be approved by the Environmental Protection Agency first. The products will carry a registration number somewhere on the bottle. Clorox’s line of disinfectants can effectively kill over 99% of the flu virus found on household objects and surfaces within your home. The flu virus in dry space can live for about 12 hours on non-porous surfaces, including on glass, plastic, and metal. But on absorbent materials, such as sponges and clothe, the virus can live for 2-5 fays. This makes it very important for your household health to remain vigilant about doing laundry and keeping things extra cleaning through the season the flu is out and about. Remember that individuals who get the flu are typical considered infectious for about two weeks from the point the symptoms first appear. Even if the person doesn’t feel sick too! So, if you get the flu, don’t hug and kiss your family members for a couple of weeks. 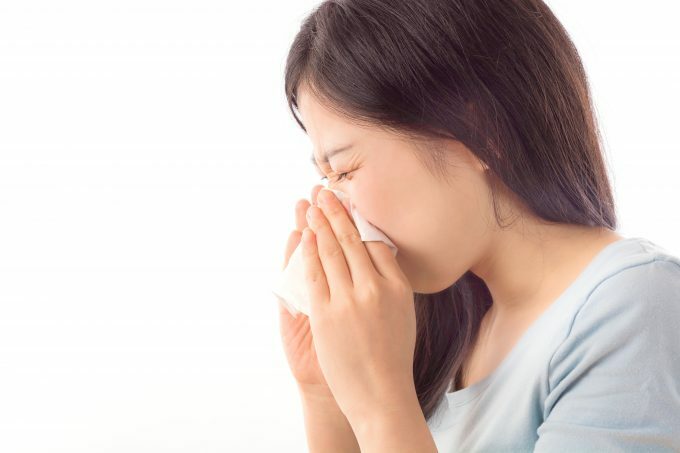 If someone within your home does become infected with the flu, make sure you got plenty of tissues and detergent ready. You will want the detergents to contain chlorine, hydrogen peroxide, antiseptics, and alcoholics. The best way to clean is with disposable gloves on. It will help keep a barrier between yourself and the flu virus you are trying to eradicate to help you not get sick in the process. Spray your young child’s toys with hydrogen peroxide, let it sit for at least 10 minutes and rinse them off with warm water.